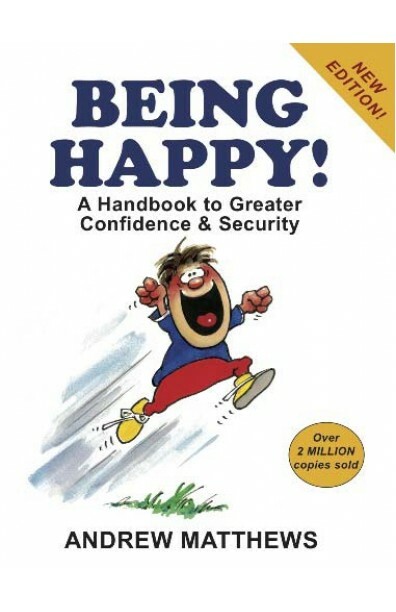 This is a cheeful and happy self help book that will make you feel better about yourself and help you move towards a HAPPIER you. It talks about understanding the natural laws of nature so that one can understand our own nature better and find happiness within. By the time you finish reading this book, you will be able to laugh at yourself, be more forgiving of your faults. It helps you steer away from depression, towards a more positive self image - The nicer you treat yourself the nicer others treat you. You will find yourself confronting a great deal about yourself as you read, without being critical of yourself. It shows you how to handle yourself, those around you, and change. Andrew Matthews with his humourous cartoons, shows you have to acheive your goals, learn from your mistakes, laugh at life and be happy! THIS BOOK IS ABOUT : - Understanding yourself - Being able to laugh at yourself - Becoming more prosperous - Being able to forgive yourself ABOUT THE AUTHOR Andrew Matthews is one of the world’s most widely read self-help authors. Andrew Matthews’ books, including HOW LIFE WORKS and BEING HAPPY have sold over 7 million copies in 42 languages, in 60 countries. Andrew is a popular international speaker and he has addressed over 1000 international corporations. His presentations are laced with humour and he draws lightning-fast cartoons as he speaks!